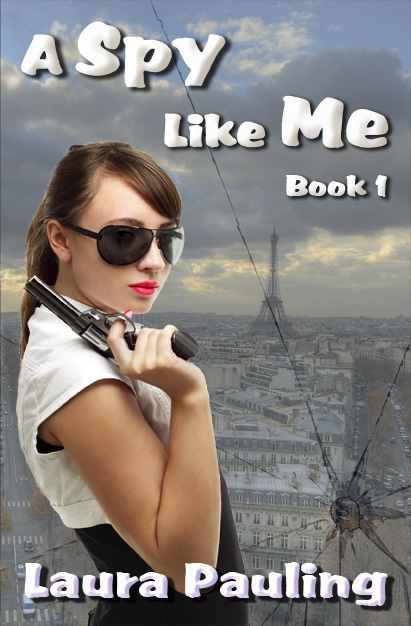 I am SO EXCITED to spread the word about my friend and fellow Indelible author Laura Pauling’s debut novel A Spy Like Me. The book is cute, funny, delightful – just like her. My 13 yo son Dark Omen gobbled it up! Spies, Murder and Mystery Marathon. Woot! Woot! Nova Ren Suma, Elisa Ludwig, and Anne R. Allen….Just to name a few! And here’s why she’s celebrating! is one of the bad guys before she completely falls for him. So excited for Laura! And what a creative way to celebrate her release. It's so exciting to see the love for Laura in the blogosphere today. Congrats, Laura!